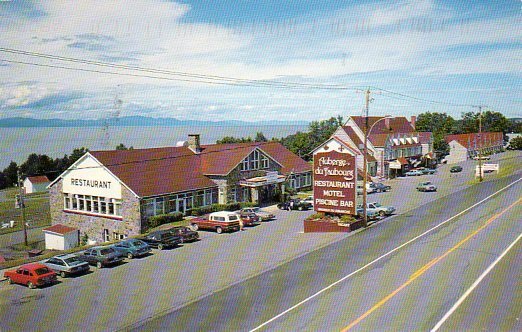 Located in St-Jeanm Port-Joli Quebec. The largest handicraft centre of Canada, famous sculptures on wood of Bourgault, 100 units, swimming pool, bar, restaurant, dining room. Nowadays this is a relaxation centre but there is also a small motel.